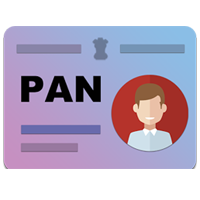 Now a days PAN card is a very much needed document for an individual for his financial transactions. We will get you your PAN card as soon as possible within a reasonable price and without much delay. Permanent Account Number (PAN) is a code that acts as an identification for Indian nationals, especially those who pay Income Tax. It is a unique, 10-character alpha-numeric identifier, issued to all judicial entities identifiable under the Indian Income Tax Act, 1961. An example number would be in the form of ARLPA0061H. It is issued by the Indian Income Tax Department under the supervision of the Central Board for Direct Taxes (CBDT) and it also serves as an important proof of identification.